A great deal about science and about medicine is misinformed and misguided, in the media and in “the public square” in general. Correspondingly, a great deal of public policy, nationally and internationally, is not based on the best scientific knowledge. This blog is intended to provide corrective commentaries to widely promulgated misleading stuff about science and medicine. My credentials for doing that are available at my homepage which also has this fairly up-to-date copy of my CV. For some two decades I taught and did research in chemistry, electrochemistry in particular, publishing enough (3 books, a dozen chapters, nearly 100 research articles) to get a good sense of what’s involved in a scientific career. In time I became interested in such wider issues as, Why are some topics apparently beyond the pale of science? — psychic phenomena, UFOs, Bigfoot and Loch Ness Monster? And why has science been so successful? What guarantees reliability of scientific knowledge? 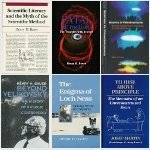 At about the time that my interest in these questions was growing, philosophers and historians and sociologists of science as well as some scientists and engineers were creating joint ventures in the recognition that understanding the nature of science and its interactions with society, especially concerning public policy, demand at least a multidisciplinary approach. By the 1980s, a new interdisciplinary field, science studies, was emerging, and I was fortunate enough to be associated with one of the first formal, degree-granting programs whose founding was nurtured by a number of well regarded philosophers and historians and sociologists. That program eventually morphed into a Department of Science & Technology in Society, and the pertinent academic field has by now become fairly generally known as Science & Technology Studies (STS). Not only is STS a relatively new specialty, it is also not a monolithic one, perhaps owing to its newness. 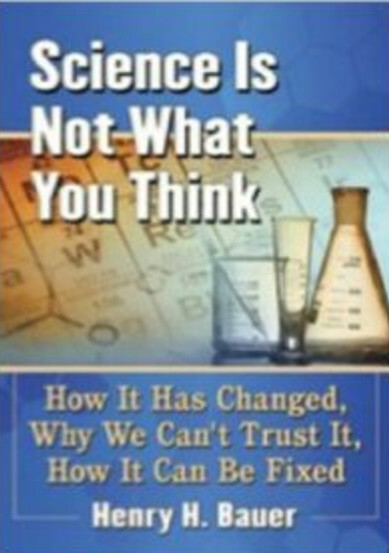 For a range of views about science, see Ralph Levinson & Jeff Thomas (eds. ), Science Today: Problem or Crisis? (Routledge, 1997); for the range of views within STS, see my article in that volume, “A consumer’s guide to science punditry” (this link is to an image file of 16MB, takes several minutes to download). To put the essence of my concerns in a nutshell: Popular views about how science is done and how trustworthy it is have not caught up with what’s understood within STS. For example, no STS scholar imagines that there exists a “scientific method”, even though that concept continues to be taught in schools and in college-level social-science courses — see my 1992 book, Scientific Literacy and the Myth of the Scientific Method, which was well received and often adopted as a textbook. In recent years I’ve come to recognize how conflicts of interest and cutthroat competition in research have detracted from the erstwhile trustworthiness of science and supposedly science-based medicine, and my book-length discussion of that, Dogmatism in Science and Medicine: How Dominant Theories Monopolize Research and Stifle the Search for Truth, has gained some decent reviews. 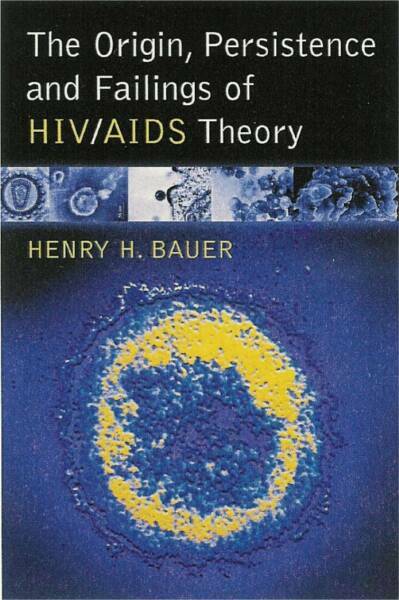 My first awareness that medical science could go very wrong indeed came through discovering that the data show that HIV is not infectious and is not the cause of AIDS: see The Origin, Persistence and Failings of HIV/AIDS Theory and my HIV/AIDS blog. I think scientists in general are pretty good at questioning their own conclusions, though not nearly perfect. I believe that the problems of both dogmatism and actual fraud have been greatly magnified in the last three to five decades by the growing inadequacy of funding. That gives the funding agencies and companies too much control over the theories that are pursued and the results that are reported. YES re the funding. NO re scientists good at questioning their own conclusions. To get a hearing, minority voices have to be loud and insistent, you let others find any flaws in your claims if they can. Of course there are SOME scientists who are judicious and self-critical, but they are not the ones who generate genuine creative novelties. I’ll be writing more about the inadequacy of funding and its consequences. 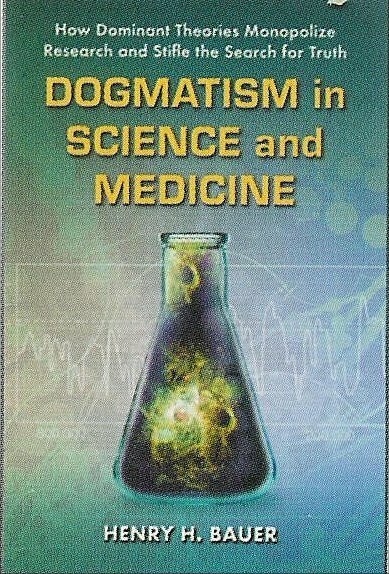 In Dogmatism in Science and Medicine: How Dominant Theories Monopolize Research and Stifle the Search for Truth I point to Derek Price’s observation that science grew at an exponential rate up to mid-20th century; that couldn’t continue, and Price predicted there would be a crisis as exponential growth turned into steady state. The ethos of science is still attuned to limitless growth, so we have increasing pressures, dishonesty, dysfunction in peer review and publication and grant-seeking . . . . I had in mind P. Duesberg, K. Mullis, and even H. Bauer. You started quite a train of thought. How would one know whether someone questioned his own conclusions? We know Duesberg changed his mind about his own discovery of oncogenes, but it seems that happened because he followed where the evidence led. Mullis describes—I seem to recall—incredulity at his own discovery of PCR, but that was before he finally concluded he was right. Wow. John Brockman alone constitutes a veritable treasure trove of interesting reading. My local library will see me again soon. Another way to discover is to listen to them talking about how they design experiments and study the results with a mind focussed on denying the very thing they suspect is true. Of course this is all casual talk rather than measured experiment, This means that we may fool ourselves and others since we like to see our own actions in the most favorable light. The opposite approach there would seem to lead firmly into depression and agony. Despite how often we go there, we consider the process dysfunctional. Thus the human scientists and I too are subject both to making mistakes and to failing to question our own beliefs. We are helped by others who are only too willing to question them for us. Even so, we find that and them unlikable at the time. That’s how we are. I’ve long been aware how useful it is to have critical colleagues and friends. It’s much easier to recognize one’s mis-steps when pointed out by a friend than when it comes from the opposition.